The power sector in India is witnessing exponential growth like never growth. 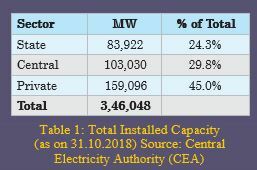 With a total installed power generating capacity of 3,46,048 MW as of October 2018, India emerges as the world’s third-largest electricity producer. Further, a total capacity addition of 58,384 MW from conventional sources has been envisaged for the period 2017-2022, consisting of 47,855 MW of coal-based power stations, 406 MW of gas-based power stations, 6,823 MW of hydro power stations and 3,300 MW of nuclear stations. In addition, there has been a big thrust by the government for setting up renewable power generation capacity of 175 GW by the year 2022. 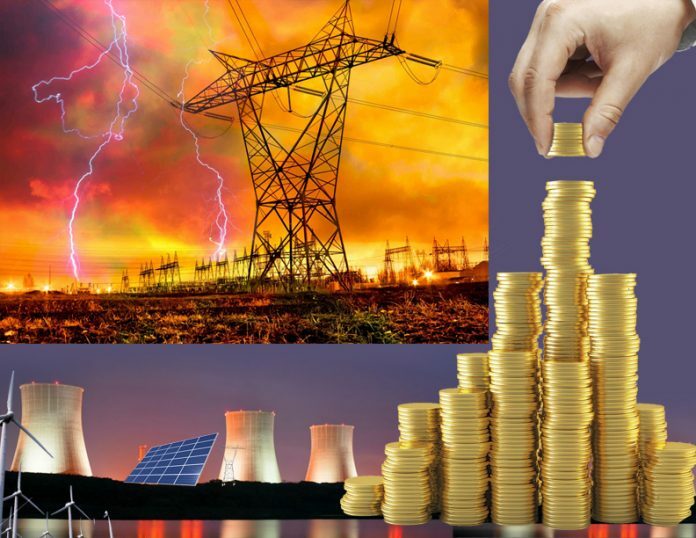 According to the National Electricity Plan (NEP) report published by the power ministry’s planning wing, Central Electricity Authority, such huge project execution will attract an investment of Rs 11,55,652 crore in power generation sector in the five-year period between 2017 and 2022. The total fund requirement of Rs 11,55,652 crore for 2017-22 includes Rs 8,52,804 crore investment in projects likely to be commissioned during this period and Rs 3,02,848 crore expenditure needed with respect to advance action for projects likely to be commissioned in the next five-year period (2022-27). Out of the fund requirement of Rs. 8,52,804 crore for the projects likely to be commissioned during 2017-22, Rs 1,42,566 crore would be required for central sector projects, Rs 92,889 crore would be required for state sector projects and Rs 6,17,349 crore for private sector projects. In this estimation, it is assumed that all the renewable projects will be implemented by private developers, the CEA’s NEP report said. Rating agency ICRA has estimated a healthy 6 per cent demand growth for the power sector during FY2019 and has maintained a stable outlook for the segment. This coupled with the slowdown in addition of new capacity and slow progress in resolution of stressed thermal assets would enable a steady improvement in the utilisation of the existing capacity. If the demand growth of 6 per cent sustains over the next three years, the utilisation of the thermal capacity would improve to about 63 per cent in FY2020 and further inch upwards to about 67 per cent by FY2022. “During the first seven months of FY2019, national power demand growth has remained at a steady 6.5 per cent which is higher than the 5.5 per cent reported in the first seven months of FY2018 and the full year growth of 6.2 per cent reported in FY2018. The rising demand is being met from higher generation by both thermal and renewable energy plants. This is reflected in the improvement in thermal power PLF to 61.1 per cent in the first seven months of FY2019 against 59 per cent in the first seven months of FY2018, and also 29.5 per cent higher generation from renewable energy sources (y-o-y basis),” ICRA reports. The relatively higher energy demand growth amid the state and central government elections over the next 6-month period, coupled with the domestic coal shortages have led to a sharp rise in spot power tariff in recent months. ICRA however notes that the high spot energy prices are unlikely to sustain in the medium term, given the significantly unutilised thermal power capacity available and rising generation from renewable sources. On the distribution front, the implementation of the UDAY scheme has enabled a reduction in losses for the discoms at all India level, by about 43 per cent for FY2018, mainly from reduction in interest costs. Estimates of the Ministry of Power suggest that the aggregate losses of all discoms have fallen below Rs. 20,000 crore for FY 2018. However, the improvement in the operational profile of the discoms remains slow, given that the reduction in AT&C losses is much lower than expected across majority of the states. Further, the tariff revision approved by the state regulators have remained lower than the revisions agreed in the UDAY MoUs. Going forward, the progress in improvement in the operating efficiencies as well as securing timely and adequate tariff hikes along with the subsidy support from the respective state governments remain important for improving the discom finances. Renewable energy is fast becoming a major source of power in India. As per Climatescope report by energy researcher BloombergNEF, India ranks second after Chile in the year 2018 with increased investments and clean energy installations, as well as the world’s largest renewables auction market. “India’s ambitious clean energy policies and extremely competitive renewable energy market pushed the country to second position. The Indian market is home to the largest and most competitive auctions in the world, which contracted over 10.5 GW from wind and solar in 2017 alone. The country’s solar market almost doubled in size in 2017, making it a record year with annual PV installations touching 8 GW,” the report said. India has also one of the world’s most ambitious renewable energy targets. It aims to reach 175 GW of clean energy capacity by March 2022, with 100 GW coming from solar, 60 GW from wind, and 15 GW from other sources. The share of renewable energy in overall installed power generation capacity has increased from 9 per cent in March 2009 to around 20 per cent (which translates to capacity of around 71 GW) as on June 2018. Rating agency ICRA anticipates the share of renewables in the total generation mix to increase by 5 per cent in next four years – from 7.7 per cent in FY18 to 12-13 per cent by FY22. Amongst the Indian States, Karnataka is leading the race with 27 per cent of its power generation coming from renewable energy in 2018 whereas Maharashtra has extended its lead in the rooftop solar with 1,095 MW capacity. According to the Central Electricity Authority’s draft National Electricity Plan (Transmission), 2016, a line length addition of over 100,000 circuit kilometre and a substation capacity addition of about 290,000 MVA is envisaged during 2017-22. This is expected to enhance demand in the electrical equipment market. With the current focus on various schemes on the transmission and distribution sector, significant changes in the technology are expected in the products which will be deployed to improve supply reliability, quality and reduce losses. This will certainly have more focus on the research and development in product design, manufacturing and testing facilities. Dr. Katsutoshi Toda, Executive Chairman, Toshiba Transmission and Distribution Systems (India) Pvt. Ltd. anticipates: Electrical industry will continue to grow in the coming years backed with proper industrial and sector-specific policy which will not only bring in investments in this sector but also transform it with latest technology and products. Experts from the switchgear industry also believe government schemes like the Ujwal Discom Assurance Yojana (UDAY), the Deen Dayal Upadhyaya Gram Jyoti Yojana (DDUGJY) and the Integrated Power Development Scheme (IPDS) will continue to create demand for the switchgears beyond 2019. Of late, India has made significant strides in expanding access to electricity, as more than 130 million people joined the power grid since 2013. However, 178 million people in India still lacked access to grid electricity in 2017. 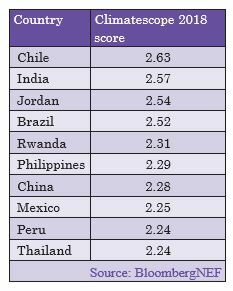 The 2018 Global Competitiveness Report ranked India 80th among 137 economies in the reliability of electricity supply. Finally, 2019 is going to be the mega election year for India. Whichever political party comes in to power, the next government must set its priorities straight in terms of providing reliable access to electricity for all!